They bring together evidence from over 200 studies and find that drinking three to four cups of coffee a day is associated with a lower risk of death and getting heart disease compared with drinking no coffee. Coffee drinking is also associated with lower risk of some cancers, diabetes, liver disease and dementia.However, they say drinking coffee during pregnancy may be associated with harms, and may be linked to a very small increased risk of fracture in women. 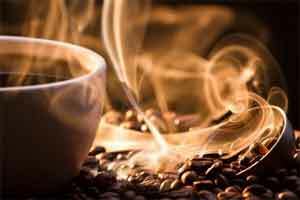 Coffee was also associated with a lower risk of several cancers, including prostate, endometrial, skin and liver cancer, as well as type 2 diabetes, gallstones and gout. The greatest benefit was seen for liver conditions, such as cirrhosis of the liver.Finally, there seemed to be beneficial associations between coffee consumption and Parkinson’s disease, depression, and Alzheimer’s disease.